This year is already shaping up to be quite eventful, last week we were told of £62,155,550 of grants to our area from the Housing Infrastructure Fund, the third highest allocation in the country, to unlock housing growth in the HotSW area. 2018 also sees many more of our Growth Deal and Growing Places funded programmes start on site and others come to completion. We’ll see some of the benefits of these projects coming to fruition in terms of jobs, houses, training places and business growth as the projects mature. The whole programme is set to generate 27,000 jobs, 17,000 homes and 60,000 learning places by 2021. We’ve got over 60 projects on the go or coming soon; 16 are already complete, 16 are underway and the rest are in in the pipeline. Some significant pipeline activity is happening on Growth Deal projects in Yeovil at the moment. 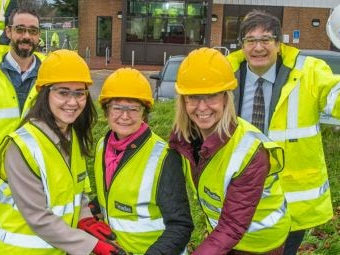 In recent weeks we’ve seen the start on site of the new business space at Yeovil Innovation Centre; we’ve had the opening of the Construction and Motor Vehicle building and the expanded catering facility at Yeovil College as part of the Hinkley Point Training Agency programme. 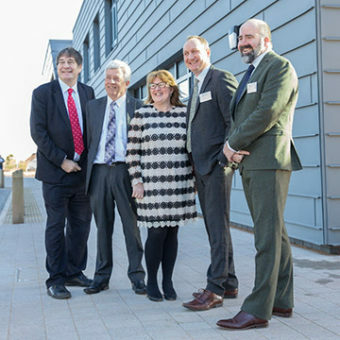 Also part of the Hinkley Point Training Agency (HPTA), the National College for Nuclear’s official opening took place this week. HPTA allocated a total of £6.5m to FE colleges to deliver direct skills relevant to Hinkley Point C, and to help increase skills in the workforce due to increased labour market demands. The Growth Deal funding stream has now finished, but we constantly keep abreast of new funding opportunities that arise. We’ve submitted, with the support of Devon County Council, the proposal for improvements to the North Devon Link Road which, if successful, would be the single largest road project in our area. It’s not just capital projects we’re attracting investment for though; there are other strategic and partnership activities we’re involved in, often with other LEPs, that will make a difference to the productivity and opportunities for business and residents living and working in the area. 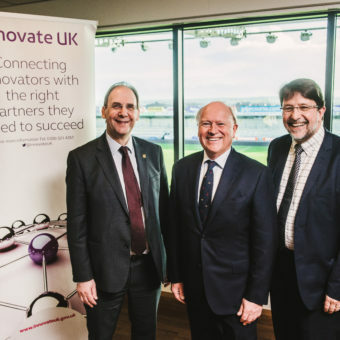 We’ve signed a Memorandum of Understanding with Innovate UK, along with Dorset LEP and Cornwall and the Isles of Scilly LEP to mark the start of a partnership to leverage innovation for our businesses and make them more productive and globally competitive. There’s more detail in the article below. We’re also working with these LEPs on a South West Energy Strategy to generate clean growth and affordable energy, and to set up a South West Rural Task Force to roll out an action plan for the South West Rural Productivity Commission Report. We’re making headway on our Nuclear South West partnership with other south west LEPs and Cumbria LEP to build in the detail of our sector deal with government to create a UK nuclear offer that was highlighted in the Industrial Strategy this autumn. I am delighted to mention that we’re selected by the Department for Education for a Career Learning Pilot, with a share of £10m for enhanced careers advice, guidance and training to under-employed adults. And our Enterprise Advisor Network is gathering momentum with 60 mentors working with schools to deliver careers advice about business needs. You may have heard that I’ve announced my retirement this summer, so the LEP is advertising for a new Chief Executive to head up the partnership in this exciting year as the role of LEPs increases. The prime minister will meet LEP chairs twice a year and we’ve just had our operational funding and Growth Hub funding secured for another two years, which enables us to plan for the future in a post-EU Britain with potentially more devolved powers. These are indeed exciting times for the LEP and the Heart of the South West area; it’s been my privilege to be part of this partnership and I’ll continue until the new chief executive takes up post in the summer. We’re looking for high calibre applicants looking for challenge and variety, which may include readers of this newsletter, so please see the job advertisement and share with any of your contacts that you think could bring strong leadership to the team. 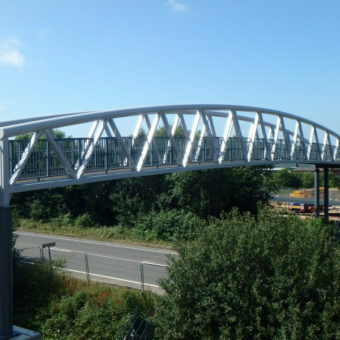 £62,155,550 has been allocated for eleven schemes in the HotSW area, following a bid supported by the LEP, making it the third highest allocation to any LEP area in the country. The total Housing Infrastructure Fund Marginal Viability Fund awarded nationally was £866 million, making the HotSW award over 7% of the overall amount, out of 38 LEPs in England. The funding from Government is to support local work that will make housing developments viable and get much-needed homes built quicker. HotSW LEP endorsed the proposals from across the local authority areas of Devon, Plymouth, Somerset and Torbay. We supported the bids by giving evidence on how each scheme would support the strategic objectives of the LEP, i.e. create the right conditions for economic growth through new infrastructure; enable the delivery of new housing and generate employment opportunities. Our Chair, Steve Hindley, said: “This is a superb result for communities in the Heart of the South West; and enabling new homes to be developed is one of HotSW LEP’s key aims. Details of the schemes are listed here. Rural Business Development Grants – Farm businesses diversifying into non-agricultural activity and new or existing micro and small businesses (including social enterprises) in rural areas can apply for capital grants between £35,000 and £170,000 to support business start-up or expansion. Food Processing Grants – New or existing food and drink processing businesses (including farm businesses diversifying into food and drink processing) in rural or urban areas of the Heart of the South West can apply for capital grants from £35,000 to support business start-up or expansion. Project proposals located in urban areas must be able to demonstrate how their activity will create jobs and growth in the rural economy – for example, through direct benefits to a rural supply chain. Rural Tourism Infrastructure – Rural businesses, farmers, landowners, charities and public bodies can apply for capital grants from £35,000 for projects that improve the local rural tourism offer by delivering new or enhanced rural tourism assets and infrastructure. There is a competitive and two-stage application process, comprising an expression of interest and a full application. The deadline for submission of expressions of interest for grants through the Rural Development Programme for England (RDPE) Growth Programme has now been extended to 31 May 2018. The final date by which approved RDPE Growth Programme projects must be finished, paid for and complete grant claims submitted has also been extended to 31 December 2020. Further details of funding opportunities and how to apply are available here. HotSW LEP, as well as Dorset and Cornwall and Isles of Scilly LEPs, has signed a new Memorandum of Understanding (MOU) with Innovate UK to help boost innovation across the South West. It’s the first MOU between Innovate UK and a group of LEPs, and will enable closer collaboration to drive productivity through innovation amongst the business community. Innovate UK drives productivity and growth by supporting businesses to realise the potential of new technologies, develop ideas and make them a commercial success. Since 2007 it’s committed over £1.8 billion to innovation, matched by a similar amount in partner and business funding. Developing initiatives and pilots which encourage and promote participation of SMEs in Innovate UK activity, such as focusing on areas of emerging strength and aiming to increase the number of SMEs investing in R&D, developing new products and processes and accessing R&D support. The Partnerships’ Growth Hubs will be a referral point for Innovate UK’s business facing networks: The Knowledge Transfer Network and the Enterprise Europe Network. The Heart of the South West Growth Hub has been offering a free point of call for business support for all businesses in Devon, Plymouth, Somerset and Torbay for nearly two years, and has already exceeded its targets; having helped over 3,200 businesses; and wants more businesses to get in touch. The Growth Hub also provides an Intensive Growth Support Service for established businesses committed to growth. Eligible businesses include those operating in the agricultural, agri-food, tourism, education and care sectors, amongst others. To find out more you can contact the Growth Hub on, 03456 047 047 or search “Growth Support Service” on the website: www.heartofswgrowthhub.co.uk. The website has been recently refreshed to provide users with an engaging knowledge hub and self-help tool for business support. Work to expand the Yeovil Innovation Centre (YIC) started in December with £442,000 Growth Deal funding from the LEP to South Somerset District Council which has enabled Phase 2 development works. Phase 2 sees the development of approximately 9,500sq feet of flexible office accommodation for more start-up and small businesses in the high–tech and innovation fields. The new extension building will be built to a high standard and is scheduled to be completed before the end of summer 2018. The YIC is an evolving business community aimed at ambitious organisations and entrepreneurs looking for a flexible, prestigious, low-cost solution with space for growth. Tenants enjoy prestigious office accommodation, super-fast broadband and stunning hospitality and meeting areas, without the commitment of a long lease. The YIC has been very successful to date and a number of enquiries for additional smaller office accommodation are regularly received. Yeovil College has added a huge expansion to its award-winning, student-led commercial Restaurant, Da Vinci. 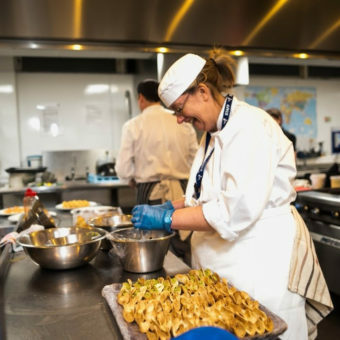 The newly extended and refurbished restaurant will double its current capacity, and importantly provide a real-world learning environment for Yeovil College Hospitality and Catering students and apprentices. The expansion was made possible by £637,000 LEP’s Growth Deal funding, as part of the Hinkley Point Training Agency (HPTA) project. HPTA allocated £6.5m to Further Education providers across Devon, Plymouth, Somerset and Torbay to competitively bid into, to help deliver direct skills to support the Hinkley Point C project and to ensure skilled employees are able to backfill jobs due to increased labour market demands. On 1st February Yeovil College held the official opening of the Construction and Motor Vehicle facilities on its main site at Mudford Road, marking the expansion of its campus to improve both courses and facilities through contribution and partnerships with the LEP and leading trade retailer, Screwfix. Through the new purpose-built building – the Screwfix Trade Skills Centre – Yeovil College can now offer two state-of-the-art work training areas, which have been designed to enable the College to meet the needs of its local and regional employers within the sector. The LEP allocated £637,500 from the Growth Deal fund for this project and an extension to the catering training facility, which in total will fund 110 new learners. Students at the new construction and motor vehicle building will benefit from high-quality training that the current job market demands, enabling them to pursue rewarding careers, whether connected to Hinkley or in similar disciplines. Britain’s next generation of nuclear technicians and engineers will begin training across a number of essential roles as the brand-new National College for Nuclear opened its doors on 7 February. The LEP contributed £3m to the college through its Hinkley Point Training Agency Package, which allocated £6.5m to FE colleges across the area to to help them provide speciality training required for the nuclear sector. With hubs in both Cumbria at Lakes College, and West Somerset at Bridgwater & Taunton College, the college aims to train thousands of talented young people for the nuclear workforce through courses including nuclear decommissioning and radiation protection. These skills will be vital for the future of our country’s nuclear programmes, with thousands of trained workers needed over the next decade to complete projects, which includes developing twelve new reactors across five sites. Sellafield Ltd and EDF Energy are leading the industry input into the National College for Nuclear to help ensure its curriculum and qualifications are based on employer need; and will work alongside the University of Cumbria and the University of Bristol with the aim of training 3500 learners by 2020. Both nuclear hubs will provide a state of the art teaching environment, including virtual simulated workplace environments such as laboratories to give learners a hands-on learning experience. It is estimated that over 6,000 people each year will need to be recruited into technical and professional roles in the nuclear sector. The National College for Nuclear will help meet that challenge. The project is also part of the cross-LEP and business partnership: Nuclear South West consortium, which aims to harness the £55bn of commercial opportunities in the region’s nuclear sector. Conversations between Great South West partners are continuing, and the next steps are to establish a more structured steering group with representatives from public, education and business stakeholders as well as business, with a funded Partnership Executive to drive the Great South West narrative in government and business circles. 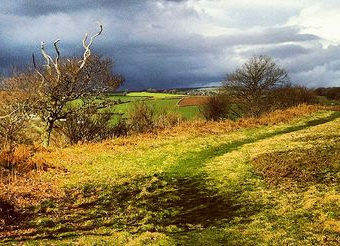 The South West is poised for a step change in prosperity and productivity. Our economy is already bigger than Greater Manchester’s and more than two and a half times that of Birmingham. When productivity in the South West matches that currently in the South East, we will add over £18bn a year to the UK’s economy. We’ve already got the single largest infrastructure project in Europe underway and the best natural capital in the country, attracting more visitors than anywhere else outside London. The publication of the SW Growth Charter in 2016 and the two South West Growth Summits started our journey to promote our great region. Now we need to draw up a core set of principles and actions that partners can all work to; developing and enhancing our knowledge base of the SW, its strengths, weaknesses, opportunities and threats so we have a consistent voice to facilitate turning policy into fresh delivery in our areas. It’s not about a fixed geography, it’s about working on areas of common interest across the South West with a ‘coalition of the willing’ where our combined efforts can make a real difference.